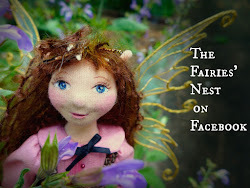 The Fairies Nest - OOAK Cloth Dolls & Fiber Fantasies: Cream or Sugar? 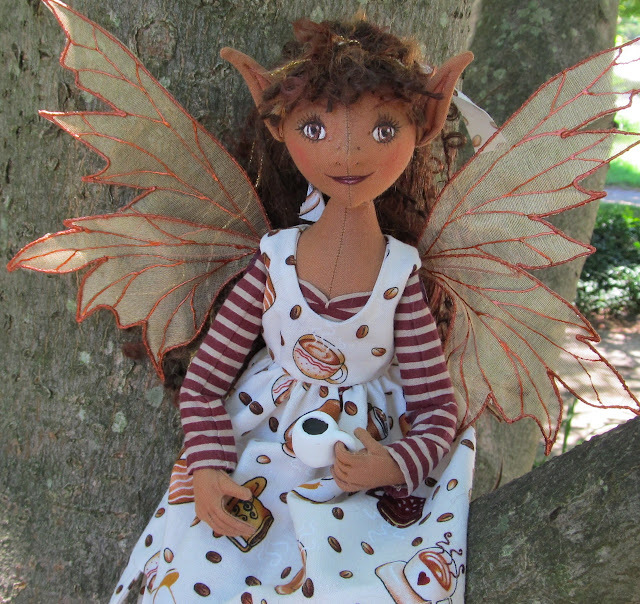 Let me introduce you to my newest Fae, Josephine the coffee fairy. So you can see that of course it's not an easy task. ;) But Joe with her cuppa will have to do the coffee drinking for now. 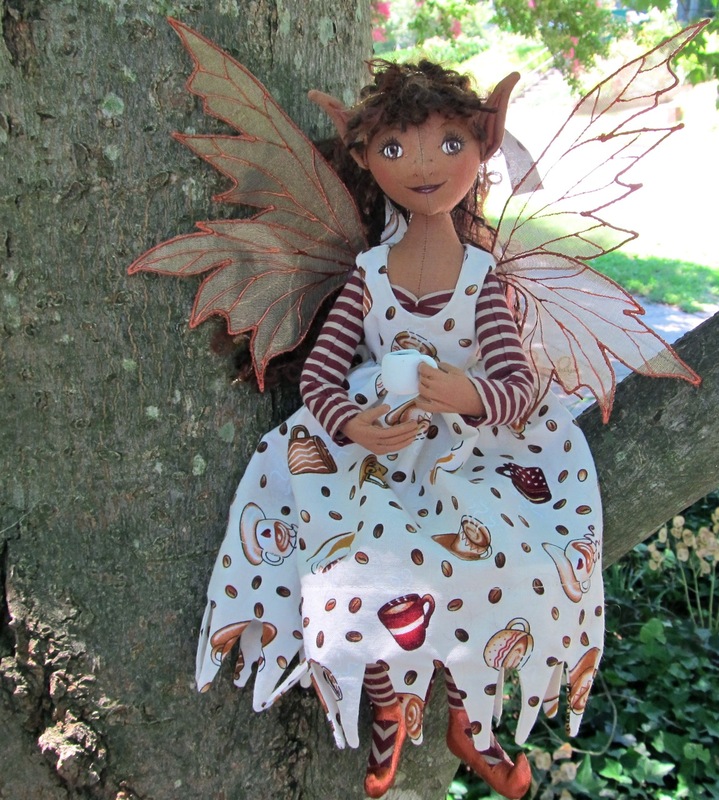 Doesn't she look comfortable hanging out, sipping some cafe in her favorite tree? I had to cut way back on coffee as well, and wine. Phooey. I found that instant coffee is easier on the tummy than brewed coffee. As always I love your dolls. Let me know if you make more crow ladies. Ah she is lovely. Trouble is I now have a yearning for a latte. Cant believe I wasnt following your blog. Am now! She's even more lovely now that my espresso is brewed! Your designs are gorgeous! I see a feature length film in their futures don't you all?!! She is so beautiful. What a cute smile and colorful eyes! Lovely ! I love the expression on her face ! 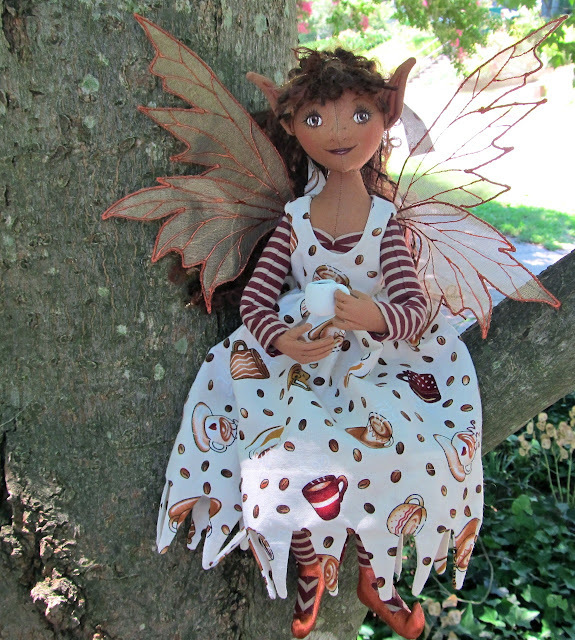 Hi - I love all your dolls especially the art dolls - they are truly amazing. 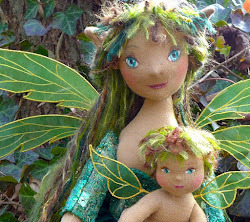 I've just started doll making myself and have a blog at raggleberry.wordpress.com. 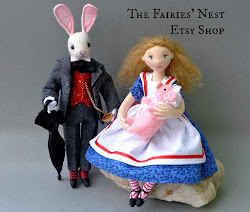 I have written a post about your dolls - hope this is OK.